More evidence that is a Media Witch Hunt led by a few haters of Dan Snyder. They could care less about Native Americans…if they did…they would focus on real Native American issues. Changing a name is not going to solve any of their problems, Sticks and Stones may hurt my bones….but names will never hurt me. I find it hard to believe that Native Americans would allow names to bring them down. 106.7 Radio Station should definitely be included on this list. Mike Florio, Mike Wise, Dan Steinberg and DeadSpin (Dave Mckenna) are all Dan Snyder haters. 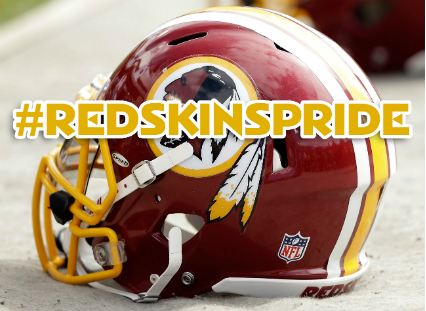 They dont even care about the name change….this is a personal witch hunt and they are using the media to try and hurt Dan Snyder. They must be miserable/unhappy people to waste so much of their energy and time trying to hurt one person. They hate him so much…it almost seems like jealousy !! If they want to make a difference for Native Americans…they should spend their time and money actually doing something positive for the tribes. They are so blinded by their hate…they cannot see the big picture. Frown Upon people that do not do know the history of their agenda. Politicians, Radio Stations (106.7 The Haters), Journalist and Activist are pushing an issue they know nothing about. Know the History !! The costumes are for show, the beards and bandanas are for show – and more than likely, even the recent “scandals” are for show… Remember, that while this fake scandal was front page news, the NDAA was passed without a peep from the mainstream media. The Face of Freedom of Speech and Freedom of Religion ????????????? Just another sad truth that the ignorance the internet is creating…people actually believe the media that this is a Freedom of Speech issue. People and companies are afraid to stand behind what they really believe because they are afraid of what others will say about them on social media. Funny thing is that “social” media is anti social behavior….people don’t talk to each other or meet one another for conversations. It’s sad that this is the face of Freedom of Speech and Freedom of Religion when there are real people suffering. His comments were not from the Bible…they were of ignorance about what he does not understand and is afraid of…uses the Bible to hide behind. 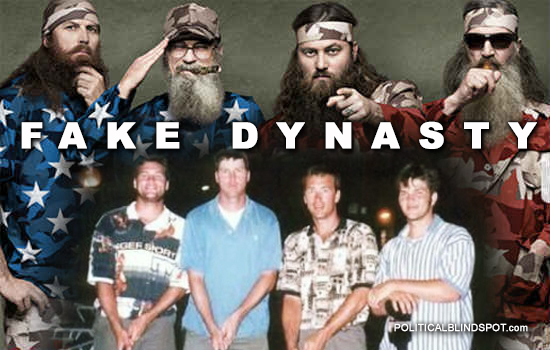 A&E and the Robertsons sucked you in to watch their new season…..perfect timing and the sheep will follow. The Bible says to accept one another and not judge…..who are the Robertson’s to judge others…that is not very Bible like. Some people may think that killing Ducks is being a savage. People think the Robertson’s are “simple people”…simple people don’t have big houses, fancy trucks and have camera’s following them around. Wake up people !!! Zimmerman pulls a gun and abuses pregnant girlfriend and is out on bond ? How many chances does this fool get ? FU Zimmerman.